International outlets should be hiring more local journalists — but these journalists need better pay, more training, and improved equality in their newsrooms at home. 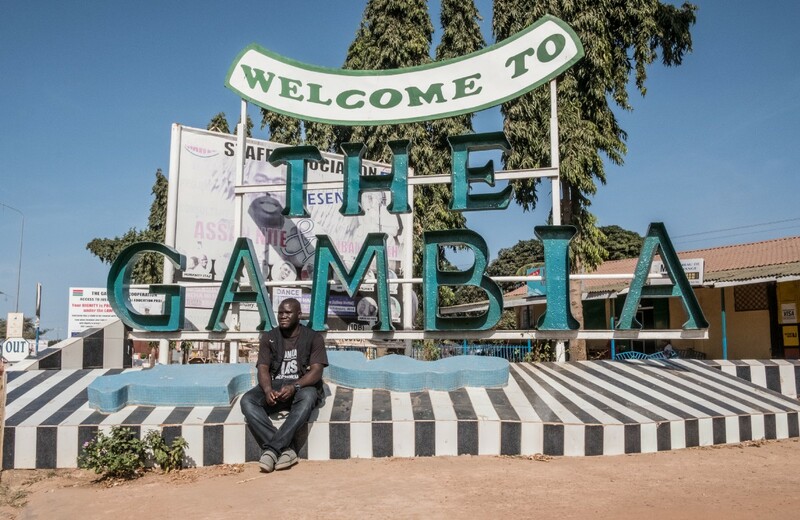 It was late 2016, and Gambian journalist Sheriff Bojang Junior was glad the world was finally paying attention to his home country’s decades-long struggle under a strongman president. But when voters finally ousted President Yayah Jammeh, Bojang was discouraged to see how many international outlets were getting key facets of the story wrong. Meanwhile, the West is often so focused on what Western audiences are reading or watching that it leaves African audiences out of the equation. Yes, improving journalism at national outlets could lead to an increased pool of local talent for the foreign press, but the most important effect would be that local audiences would have better access to information that impacts their lives. The status and skill set of journalists in West Africa is inextricably tied, as it is throughout the world, to economic development. Even in Senegal, where the journalism industry is more robust than it is in many neighboring countries, photography students at the University of Dakar’s journalism school have little access to the gear they need to train for their future careers. More concerning still is the fact that many recent graduates have accepted jobs at local publications where there was little or no pay. This concern has been echoed at training sessions I have conducted over the last few years for local journalists in the Democratic Republic of the Congo (DRC), Congo-Brazzaville, Tanzania, Niger, and Guinea Bissau. The number-one complaint from working journalists was that they were not paid a living wage, if at all. 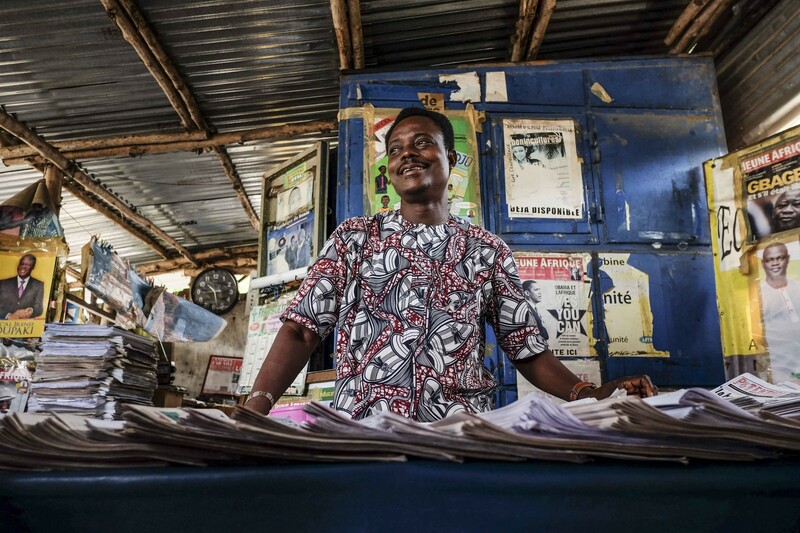 Proper salaries are rare at publications across much of West Africa, according to Bojang. And, as a result, many journalists accept payments from the very corporations or individuals they’re covering in order to make extra cash. A reporter could spend a week reporting on illegal timber activities and barely cover costs, Bojang said, or they could get a stipend from a telephone company to report on one of their events in the newspaper. Journalists working for West African outlets often cover corporate events promoting organizational activities because those entities compensate them by “refunding your fare,” Bojang said. 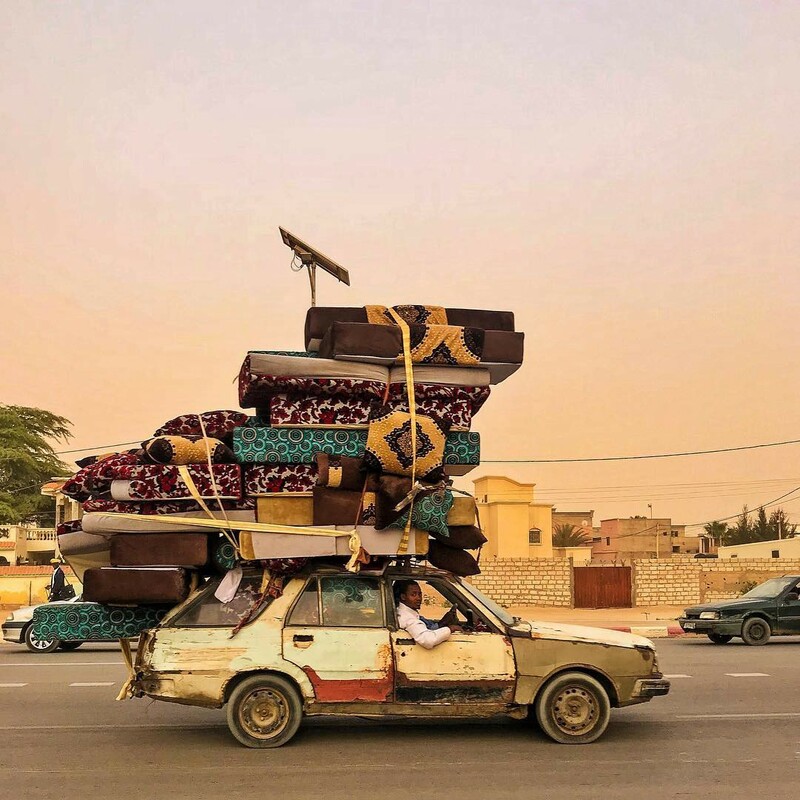 The premise is that the money is a “reimbursement” for transportation costs to and from the event, but the amount paid is often higher than the actual transport costs. But where does the blame lie, if the journalists are simply trying to make ends meet? And what can be done about other negative impacts of a faulty financial model? 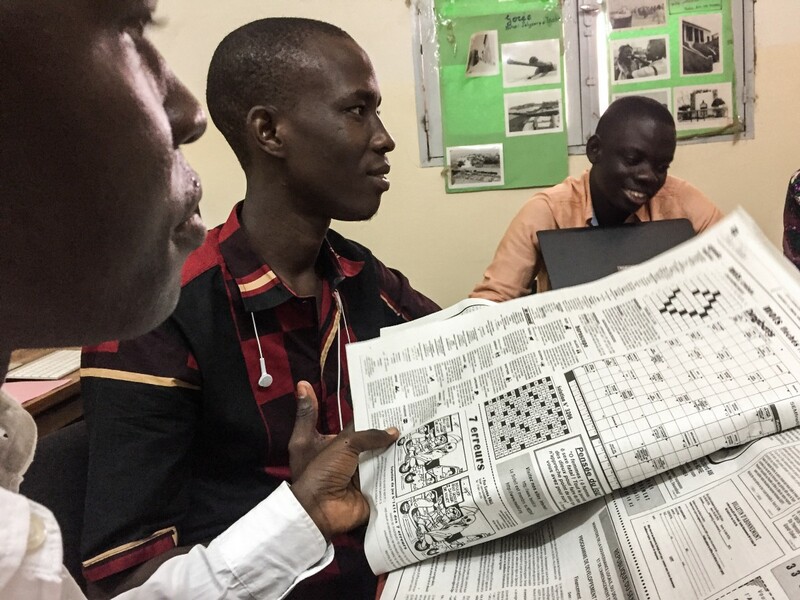 Twenty-seven-year old Diene Ngom graduated from the University of Dakar’s journalism school in 2017, but he has yet to find a job. He said there are skilled journalists in the country, but publications often hire those with fewer qualifications because it’s cheaper. “Those who went to school expect a better salary and conditions than those who didn’t,” Ngom said. “And so the online news publications are often bad because they are not run by professional journalists.” He added that the salaries offered are usually between US$100 and US$400 per month. Sometimes the problem is not simply a financial one, but also an issue of restricted press freedom. In Mauritania, which lies just north of Senegal, there have been crackdowns on the press by government officials in recent years. Just last month a freelance photojournalist was deported for his research into a slavery story. Although Corera believes that photojournalism has progressed in Mauritania, he is unaware of any local papers that have staff photographers. Meanwhile, it’s become somewhat easier to get assigned work from foreign outlets. 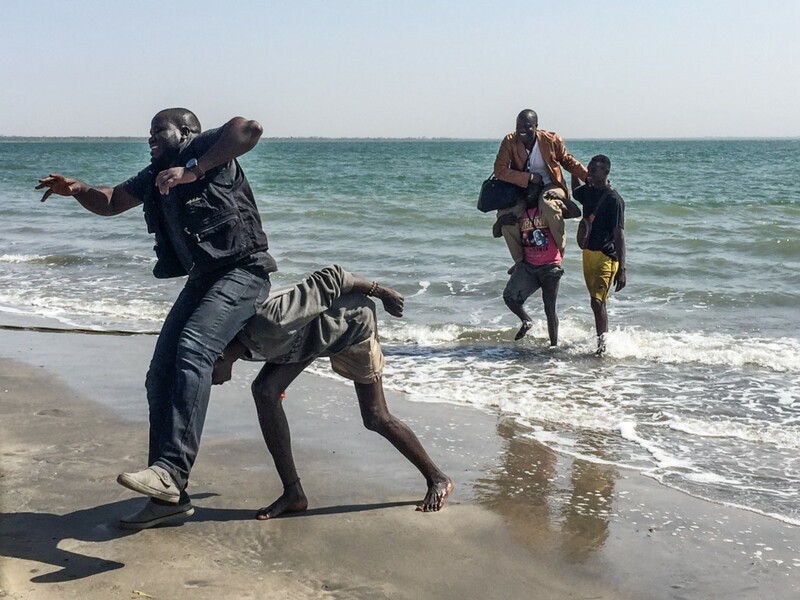 “Previously photojournalism was done by people coming from foreign countries,” he said. “But thanks to social media, they don’t need to send people as much.” It has become easier for international editors to find local photographers through Instagram and other platforms, he said, and he and his colleagues are now contacted more frequently. Still, Corera estimated that he is one of perhaps four Mauritanian photojournalists working in the country, despite the region’s rich history of photography. Senegal and Mali, for example, have deep photographic histories and a wealth of working local photographers, but it’s extremely rare to see in-depth documentary photography in local papers there. Another stubborn problem is a lack of gender diversity at the local level, especially in photo and written journalism. Men vastly outnumber women. Of the very few women enrolled at the University of Dakar’s journalism school, most are broadcast journalism majors. One faculty member, when asked why there are so few female students, told me that women just didn’t have what it takes to be journalists. 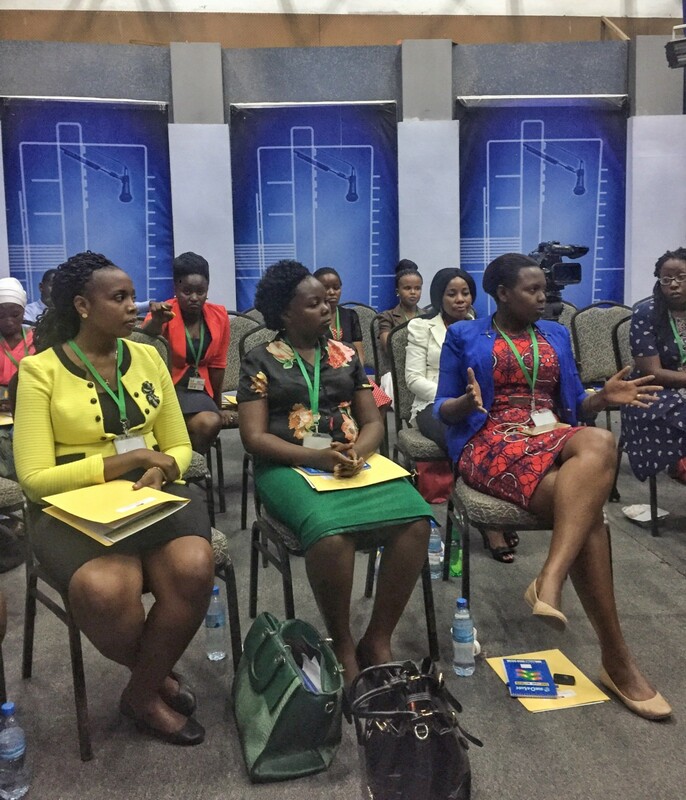 Sexism in the workplace, corruption, and training deficiencies all plague journalism in sub-Saharan Africa. But at almost every training I’ve conducted in the region, the conversation inevitably boils down to one main question: “How can we practice journalism if we’re not paid a living wage?” And then we have a chicken-or-the-egg debate: If good journalism is practiced, won’t the public value it, leading to better salaries? Or does the effort need to start with local unions to push up wages first? I always come away from leading these training sessions or teaching my class at the University of Dakar reinvigorated by the passion and talent of my colleagues. But I also feel deflated to know that no matter how much talent they have, the economic situation (often mixed with government and economic corruption) keeps them from reaching their fullest potential. And if they aren’t provided the proper time and resources to produce in-depth reporting at the national level, how can they have influence internationally? How can they foster an environment in which a robust national press can work with the international press to produce well-reported news from the continent? And wouldn’t that environment be even stronger if more African journalists had the opportunity to travel to the U.S. and Europe to report back to their readers at home as well? 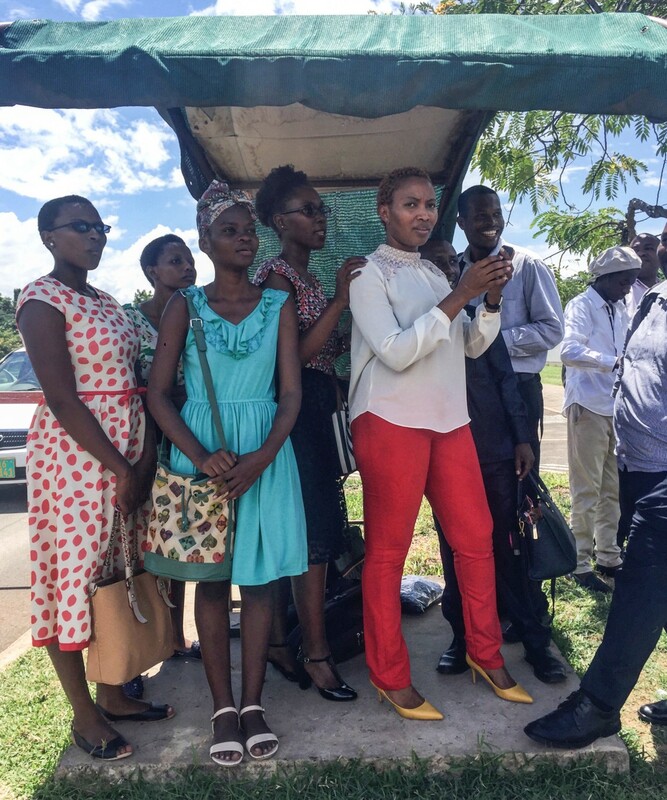 There are many qualified journalists across Africa, and international outlets should be doing a better job of seeking them out, but there are still gaps in training that need to be resolved. If the international press is to be expected to hire a more diverse range of reporters and photographers in Africa, there needs to be a continent-wide effort to improve the quality of journalism at the national level. Simply hiring local journalists to report for Western audiences will not solve the larger issues that journalists face within the region. If local newspapers could produce higher quality journalism, more opportunities would open up for journalists within their home countries, and the international press would have a more vast and diverse pool of talent to draw from when covering Africa. And the residents of these countries would benefit most of all, with access to information that would allow them to hold their leaders accountable — perhaps the most important purpose of journalism in the first place. 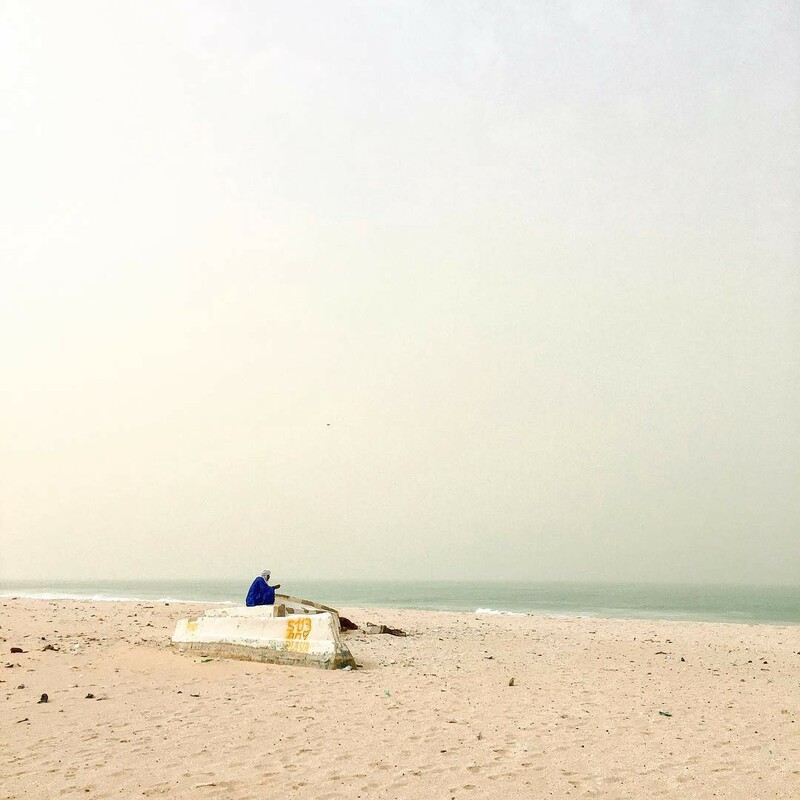 Ricci Shryock is a photographer and journalist based in Dakar, Senegal, since 2008. 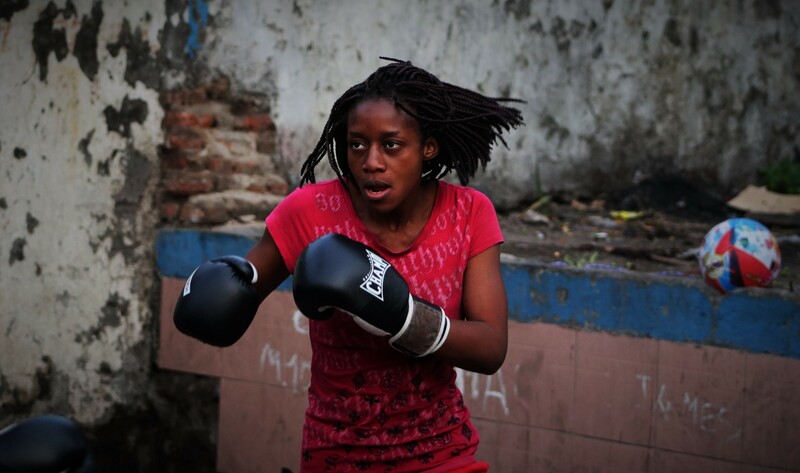 She’s a contributor to Everyday Africa and teaches photojournalism at the University of Dakar. She has conducted multiple journalism trainings throughout the continent and is a mentor for The Native and Everyday Projects Mentorship Program. Follow Ricci on Instagram. Next in our series “Truth-Telling”: Bradley Secker on being a gay journalist and the narrow media portrayal of LGBTTQQIP+ people. And don’t miss our previous article, “Working around reductionism in Afghanistan,” by Andrew Quilty. Thanks to Danielle Villasana, Peter DiCampo, Elie Gardner, and Austin Merrill.